Virginia artisan, Kirk McCauley, crafted this handsome platter using wood from a red oak that once grew at Monticello. 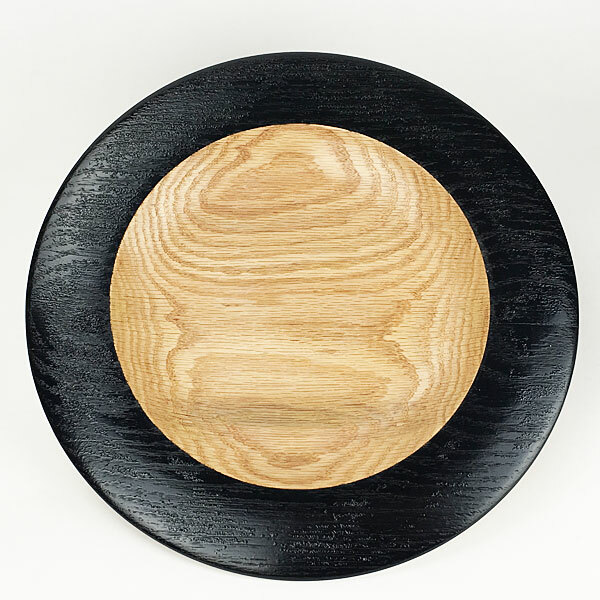 The platter rim is painted black and adds to the authentic history and sophisticated rustic presence. Signed, dated and numbered. 14 �� diameter.